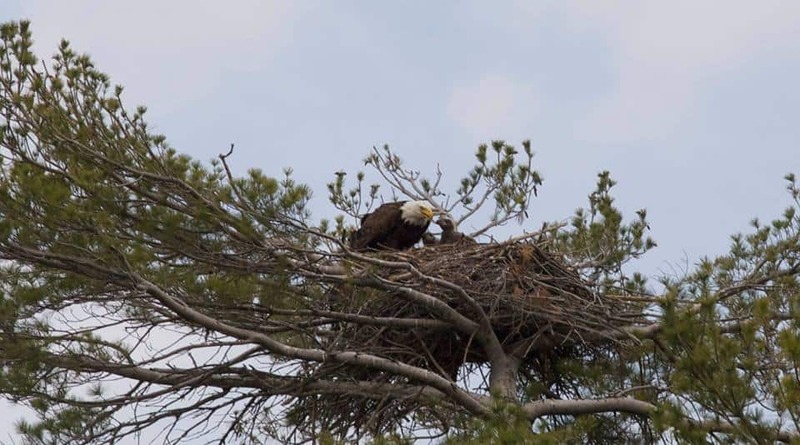 On Friday, May 6, I was watching a Turkey Vulture circling overhead at Curve Lake, when a large, bright white bird with black wing tips and long legs flew past it, heading west. The black was definitely limited to the primary feathers. There was no black in the secondaries, which rules out a Wood Stork or American White Pelican, both of which I’ve seen in the wild. 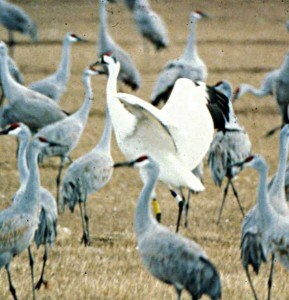 The legs were visibly long and the neck was white along the entire length. The head was not distinctively big like a pelican or stork, nor was it dark like a stork. It flew without soaring whatsoever, just a steady beating of wings and a straight flight course. 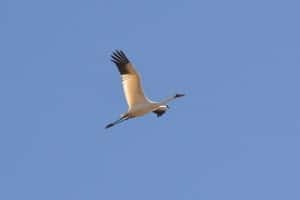 In a quick search of ‘whooping cranes ontario’, I found that there were three spotted in Almonte, Ontario on the 24th of April 2016. http://www.ofnc.ca/breports.php I feel quite certain that what what I saw was a Whooping Crane. The only thing that I am less certain about was the size of the bird. It came from the direction of Katchewanooka Lake and was travelling in the direction of Fenelon Falls.